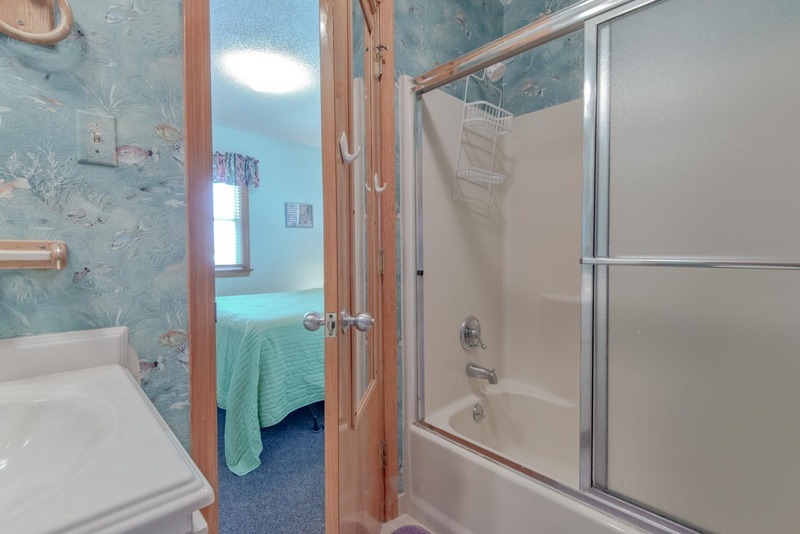 "Coleman's Sea Breeze Inn" is located along the beautiful beaches of Kill Devil Hills & provides an outstanding locale for your family trip to the Outer Banks. Tastefully furnished & very well-equipped, this charming home offers a true coastal experience. There is a large oceanfront deck w/ plenty of seating & direct access to the beach via your own Private Walkway. Soaking in the DELUXE Hot Tub (Open Year Round) is an ideal way to relax & spend time together. You can even bring your furry family as the home is PET FRIENDLY! Close to restaurants, grocery stores, shopping, night life, fishing pier & movie theater. 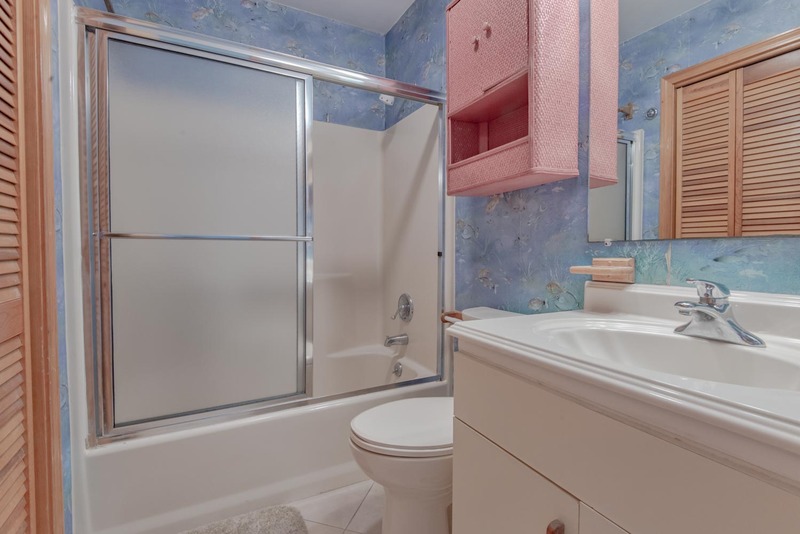 Ground Level: Parking for 5 Cars (1 Under House), Laundry Room, DELUXE Hot Tub w/MPV 3 Player Adapter (bring your own MPV3 Player), Basketball Hoop, Fish Cleaning Station, Park Grill, Gas Grill, Picnic Table, Private Beach Access, & Enclosed Outside Shower. Main Level: Living/Dining/Kitchen Area, TV, Queen Sleep Sofa, 2 Covered Porches, Large Sun Deck, 4 Bedrooms (3 w/Queens & 1 w/Duo Bunk & Single), 2 Full Baths, & Direct Access to Beach via Your Own Private Walkway. Features include: C/AC & Heat, Washer/Dryer, Microwave, Phone, 5 TVs w/Digital Cable & Spectrum Silver Plan, DVD/VCR Library, 2 Refrigerators, Wireless Internet, Ceiling Fan, Baby Equipment (Port-a-Crib & High Chair), & Basketball Hoop. Located Next to #893. Two Mature Dogs Allowed w/Fees. This is a Non-Smoking Unit. House was comfortable and has a good location. Love this house & location especially the deck. Would love to see deck raised. We've been staying here at least 22 years and love the house and location. The rooms were comfortable and clean. We had a lovely week and totally enjoyed our family reunion. Great house, have stayed here many times!!! We were very satisfied with Joe Lamb and will stay with them in the future. We have stayed in this home many times. We love it. Well equipped with all we need. Love the closeness to the beach and privacy. The house was perfect for our needs. We enjoyed the back deck and it was nice that there was a gate at the end of the walkway so our dog could be off-leash outside. The kitchen was well-equipped with cooking utensils and pots and pans.